-John William Armstrong 1944 England : "The Water of Life" A treatise of urine therapy. 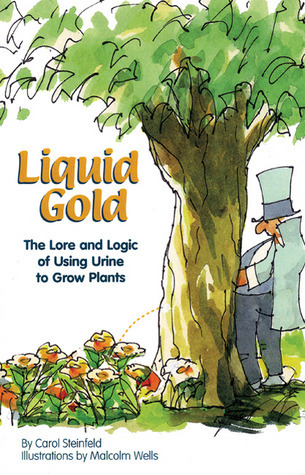 -Book review of Martha Christy's book on Urine therapy: " Your own perfect medecine "
"All the drugs in the Pharmacopoeia cannot do as much for the life forces in your body as you can do for yourself with the simplest and greatest of all nature's remedies-water." This statement was made by Frederick M. Rositer M.D. The principle of using water in healing and renewing the body has been well known from early history. It has been used and recommended by doctors from the times before Hippocrates and ever since. John Wesley, the famous evangelist and founder of the Methodist Church, wrote a book early in the 18th Century, treating among other things, the virtues of water as a healing remedy. Prusnitz, Father Knupp, Dr. Winternitz, Dr. Kellogg and many many more intellectuals advised the use of water in healings. Today we have many advocates of water therapy such as Alen E. Banik, O.D. ; Paul C. Bragg, N.D.; N.W. Walker, Doctor of Science; Yogi Ramacharaka, etc. etc. For the internal use of the body-the most perfectly designed form of animation on this earth--we should use only the purest liquid we can find. Pure fruit and vegetable juices, as a liquid food, is a pure liquid and very beneficial. We need now to think of a non-nutritional liquid for cleansing the circulatory system of the body, and that liquid is pure water. I like the way Dr. N.W. Walker explains water and the use of minerals in the body. In his book "Water Can Undermine Your Health" (Norwalk Press, Publishers, Phoenix, Arizona, 1974), he quotes, "What happens to the minerals in the water?" Once the liquid, whatever it happens to be, reaches the liver it is completely divested and cleared of everything whatever that was a component part of the liquid, except only the hydrogen and oxygen which, together, form the water molecule. Water containing nothing but hydrogen and oxygen is pure water, and this is the only kind of water which the blood and lymph can use in their work. Both the blood and the lymph require pure water to assist them in their functions. Distilled water is the purest water you can have. Whatever mineral and chemical elements were present in the water when it first reaches the liver, are segregated by the anatomizing processes in the liver and either passed on into the blood stream or are filed away as reserve material. The liver has no selective ability to determine whether the item which comes to it is "alive" or inactive, whether it is constructive or detrimental. Thank you mudra for that video. As sson as I have enough money I am going to buy a distiller. I am really getting enthusiast about all this . and thus is considered to be a super-natural living food.When taken, it “awakens the healer within” who works both on a mechanisticlevel as well as on an energetic level. That is urine has the ability to affect all levelsof being; from the physical, to the emotional, to the mental and to the subtlervibrations of the soul. This deep purification is how Indian yogis used thistechnique to unleash the Kundalini Shakti through the chakras, up to their thirdeye and fostered a more intimate relationship between their self and their HigherSelf. Any health benefits or sense of rejuvenation that was derived from theenergy released by awakening Kundalini Shakti are thus consequential to themain goal of self-realisation. Following Tantric traditions, the practice was oftencombined with mantras, minerals, herbs and spices, massage and asana practices,all to assist the detoxification process and influence the vibrations of the body.Urine is said to be an invaluable source of nourishment and healing yet has beentoo controversial or not financially rewarding enough for it to be studied, let aloneencouraged for its potency. One’s own urine, a living substance, containselements that are specific to one’s body alone - the reason why it is used inroutine medical tests. The body is constantly producing a huge variety ofantibodies, hormones, enzymes and other natural chemicals to regulate andcontrol its functions and correct disharmony. When reutilised, these chemicalsand nutrients act as natural vaccines, antibacterial, antiviral, and anti-carcinogenicagents as well as hormone balancers and allergy relievers. In short, the body’sown intelligence or defence mechanism is activated to restore the originalphysiological balance or homeostasis. The information that one’s own urinecontains therefore cannot be duplicated nor derived from any other source. Just asnature produces no two people who are exactly the same, there are no two urinesamples in the world that contain exactly the same components. Numerous Authentic Case-Histories Have Proved its Effectiveness and our Claim. Even Uncurable Cases Have Been Found Responding to This Therapy. Opinions and Experiences of Some Alloapathic and Ayurvedic Doctors who have Examined This Method of Treatment Carefully Have Also Been Included in This Book. scroll down window at the top of the page. I am finding this subject so important that if people have information on urinotherapy in other languages than english please add them to this thread. Urine: Good Health is an hour-long documentary about urine therapy. 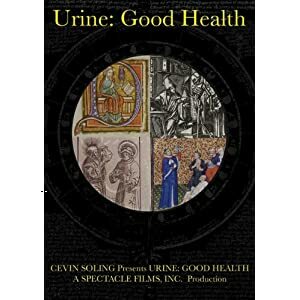 This unconventional and controversial practice,which involves the use of one's own urine for health benefits, has been employed throughout history by people around the world and is one of the oldest modalities of health care. The proponents of urine therapy generally advocate the use of one's own urine for many purposes. Whether taken orally, dropped in the eyes or ears, used topically or injected, it is claimed that urine is a cure for many maladies including AIDS, cancer, asthma, arthritis, and glaucoma, among others. Urine therapy is also used for skin care, health maintenance, and as a dietary supplement. While many in mainstream medicine have rejected the claims of urine drinkers, pharmaceutical companies and scientists profit from the use of urine and its individual components in their research and development. The proteins, enzymes, and other materials occurring naturally in urine are being used in various ways, including the production of life saving drugs and dietary supplements as well as for non-invasive tests for the detection of disease. This documentary objectively explores the claims of the users and proponents of urine therapy and the views of some of the world's preeminent doctors and researchers regarding the medical uses of urine. Skeptical about Urine Therapy? Have skeptical questions? Good grief, I love my distilled water but couldn't come at urine therapy. As far as I'm concerned, the body throws out what it doesn't need. I used to know a guy who practised urine therapy and he got sick the same as everyone else. I couldn't see any benefit to it in his life at all. Have you tried urine therapy Mudra? Sanicle wrote: Good grief, I love my distilled water but couldn't come at urine therapy. As far as I'm concerned, the body throws out what it doesn't need. I used to know a guy who practised urine therapy and he got sick the same as everyone else. I couldn't see any benefit to it in his life at all. After reading a few books and listening to the various videos I could find on the subject recently, I decided to make of UT a daily routine in my life. Not because I am sick and want to cure myself of anything but because I understood this is a real elixir of life that nature has gifted us with. Once we go beyond the misconception that urine is a waste product it's simple and easy to just take it for what it is and enjoy all the benefits that come with it . Urine is not a dirty and toxic substance rejected by the body. Urine is a byproduct of blood filtration, not waste filtration. Nutrient-filled blood passes firstly through the liver where toxins are removed to be excreted as solid waste. Eventually, this purified “clean” blood undergoes a filtering process in the kidneys where excess water, salts, vitamins, minerals, enzymes, antibodies, urea, uric acid and other elements not useful at that time by the body are collected in the form of a purified, sterile, watery solution that is urine. The function of the kidneys is to keep the various elements in the blood balanced. The important elements in the blood are not filtered out because they are toxic and harmful to the body, but simply because the body does not need any more than that particular concentration of that element at that specific point in time. It is this very regulating process of the kidneys that allows people to eat and drink more than their bodies need at any one time. When taken internally, the urine does not go straight into the bloodstream but travels through the digestive system where its constituents are sorted out. The useful ones are used up again while others are rejected as solid waste. When the level of toxins in the blood increases, it stimulates the intestines and the lymphatic system into flushing themselves out to eliminate any stagnated excrement accumulated in the colon. Urea, which is considered the main poisonous organic solid in urine have been shown by research that it gets converted into an essential amino acid once it is recycled by ingestion which helps body to use protein more efficiently. Urea has also been proven to be an extraordinarily effective antibacterial and antiviral agent, one of the best natural diuretics and one of the most remarkable skin moisturizers ever discovered. Wow, thanks Mudra. Have you found that you feel any better in any way since you started? According to many of the vids there are supposed to be benefits like this. YOU, I would believe! Sanicle wrote: Wow, thanks Mudra. Have you found that you feel any better in any way since you started? According to many of the vids there are supposed to be benefits like this. YOU, I would believe! Well I don't want to pronounce myself yet as this is all too new Sanicle. showing me it's well hydrated and healthy. During the process I got an irritation in my eyes due to a new Kayal pencil I used in my eyes that I turned allergic to. This was cured within two days with very little discomfort where earlier it took a much longer time to heal completely. I first started on urine only and have now added distilled water too together with an organic and mainly raw diet. A friend cured her periodontal disease with urine and when she told me I found your website and tried it for my toothache which I was taking vicodin for and expecting to get pulled. After four uses of urine I arrived at the dentist and he couldn't get my tooth to hurt. Not with ice, cold air, cold water, or picking. I woke up in the middle of the night last night with pink eye caking my eyelids closed. I washed them with urine and the redness and itchiness vanished within half an hour. Also using it on a wart grown under a fingernail and it seems to be helping my hip heal. I am sold. Question: if all the toxins are removed by the liver why are drugs still in the urine for sports testing and legal issues? Is it just such a small amount it doesn't matter? Are there any different guidelines for kids? Thanks for your gift. ps my just turned 9 yr old son just popped in before taking a bath with urine in a glass and we mixed 5 drops with orange juice for him, as he was wanting to try it for his hyperactivity which is causing problems at school. We had discussed it on the way home from school today. added orange juice and drank it for the first time, with warnings not to tell people at school. Rick Surprised at how many people have heard about it and one woman whose mom made all the kids drink their urine growing up. I was running out of ideas after flushing my body with liquid echinacea....didn't work. A bottle of the best colloidal silver (Mesosilver) in case it was a hidden infection....didn't work. Flushing my liver out with liquid Milk Thistle seed in case it was an insect bite.....didn't work. Running out of options and ideas, I finally found your site looking for new and little known remedies, read about uropathy, tried it and I am totally healed....no more symptoms whatsoever! The most severe problem was the little runt who began having seisures...we worked with her constantly...first by putting her in a very safe enviroment by herself where she did not feel threatened. I gave her urotherapy off and on through the day and before night time. I would bundle her up in warm blankets and put her in a small pet carrier which she felt safe and secure in. As she was in that room in a very secure environment along with the urine therapy, she began to have less and less seizures. I also am a natural healer...I used hands on healing...I literally felt electrical energy come out of her and into my hands...at first it was really powerful and then gradually it became less and less powerful until she has stopped having seisures for three days now...her vision was really affected at first to the point of almost being blind...I put urine drops in her eyes often and now her eyes are clearing from a muddy, unclear, blurry look to a clear blue...she is now seeing everything once more. I am very interested in the Transfer Factor as we do not plan on having any of our animals vaccinated anymore or treated with worming medicine...we prefer to find a natural product that does it for them. My husband has done extensive research into urine therapy and found that it is effective in regards to rabies. We are currently working with a Nepolese man who was given up on by medical doctors because of cancer in the jaw and throat area that had spread into his lungs etc. It is amazing what the urotherapy is doing for him...he would have been dead already had he not started the urotherapy when he did. I could go on and on in our own lives about what urine therapy has done even on a spiritual level...so we are grateful to you for your information on your site regarding this undiscovered therapy by the large majority of the population here in the US. It is definitely a gift from God. Dr Burzynski , a pioneer in cancer research, known worldwide for discovering Antineoplastons, which act as molecular switches to turn off cancer cells without destroying normal cells, stated that he began investigating the use of antineoplastons after detecting what he considered significant differences in peptides between the blood of cancer patients and a control group. Burzynski first identified antineoplastons from human blood. Since similar peptides had been isolated from urine, in 1970 Burzynski initially purified urine as a bulk source of antineoplastons. Since 1980 he has been reproducing his compounds synthetically. In the following video on Breatharianism ( unfortunately in French ) the case of Prahlad Jani an indian yogi that claims to have lived without food or water since childhood is studied in the Defense Institute of Physiology and Allied Sciences. Considering urine is full of nutriments and other precious elements maybe this is a clue as to how the bodies of breatharians remain alive and are so healthy and strong . OK, now I'm confused. Why would they have urine and stools if they didn't eat or dring anything?